Season 1 Episode 1: "Pilot"
Bright Lights Gary Clark Jr. Season 1 Episode 10: "I'm Sorry for You, My Friend"
Season 1 Episode 2: "I Can't Help It (If I'm Still in Love with You)"
Season 1 Episode 11: "You Win Again"
Season 1 Episode 7: "Lovesick Blues"
This cycle just keeps repeating itself over and over again! Betrayal, destruction, abandonment, forgiveness. 25 Fictional Kardashian Crushers: We'd Watch These Reality Shows Right Now! 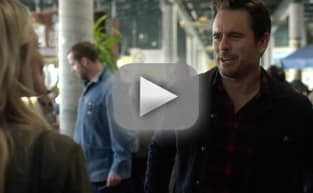 Nashville Season 6 Trailer: Deacon Finds Love Again! Nashville Season 6 Promo: More New Faces!